We want to thank all of the talented artists that helped us out with the soundtrack! Check out their tunes and click on their photos for more information. The boys from San Marcos are back, providing several songs for the film, just as they’ve done for all of our movies. Our relationship with TXR (and manager Mike Williams) has been one of simply trying to help each other out. It’s resulted in several award winning music videos in addition to the film soundtrack music. They’re music really moves the film and we’re tickled to have them back. The music from former Plow Monday front man Jon English has been a part of Twitchy Dolphin Flix since before Twitchy Dolphin even launched. His lyrics paint a picture that helps drive the stories we’re trying to tell. Clif Haley’s music combines a virtuoso’s talent with a gift for quick wit and epic wordplay. From his music in FUNNY BOOKS to whipping up a very “Willie Nelson – esque” piece for Look At Me Again, his musical talent is unequaled. AND, he can act. To know Janet Mayson is love her. She’s infectious and charming. And super talented. She’s an actress, filmmaker and a very talented singer. And anyone who could give us Libby Girl. Brandon Whitlan is kind of like the Eddie Vedder of Twitchy Dolphin – dark, brooding and very talented. His lyrics are controlled and poignant, painting a vivid picture of their subject. 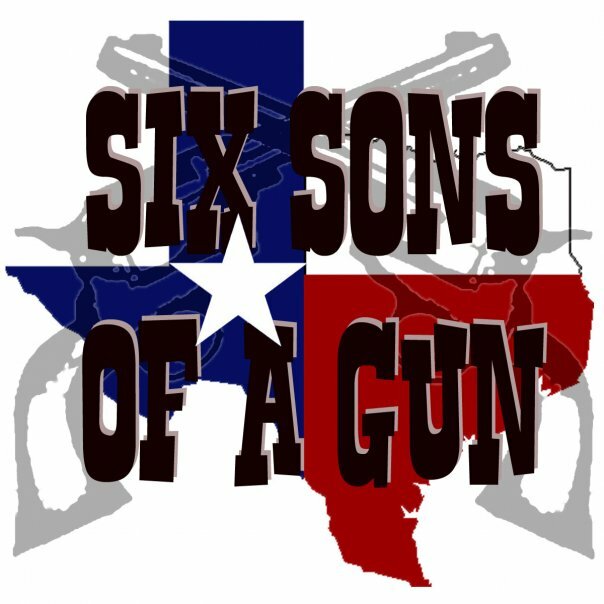 6 Sons of a Gun put on one of the best live shows in Austin, Texas. They are all about quick upbeat tunes and fun lyrics.